For the latest information attend our webinar to gain an overview of the key changes in ISO 22000:2018 vs. ISO 22000:2005 and the steps for you to prepare in order to transition and comply with the new standard. Starting preparations now will ensure a smooth transition. 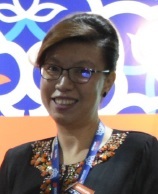 Ms. Wendy Yap is the Regional F&B Manager for Asia Pacific region for DNV GL Business Assurance.She is a Lead auditor and trainer for various schemes for FSMS, as well as QMS (ISO 9001) and EMS (ISO 14001). Specifically, in relation to Food Safety Management Systems (FSMS), Wendy is a Lead Trainer for CQI-IRCA Certified FSMS Lead Auditor training course based on the FSSC 22000. She is an approved IRCA Lead auditor for ISO 22000 and HACCP, Lead auditor for FSSC 22000 (Food & packaging),auditor for BRC (Food & Packaging), NVC Course Packaging Technology for auditors, Lead auditor for Global Gap (Compound feeds), Lead auditor for FAMI-QS, and Lead auditor for GMP+. At the same time, Wendy is also a Lead auditor for ISO 9001 and ISO 14001.